A group of accidental time travelers find themselves stranded in the future with a time machine that can only go forward. Their only hope is to keep moving, jumping further and further in search of a future that can show them a way back home. As the world crumbles around them in fast-forward, our heroes fight to survive a series of dangerous and surreal futures, each one wilder than the next. 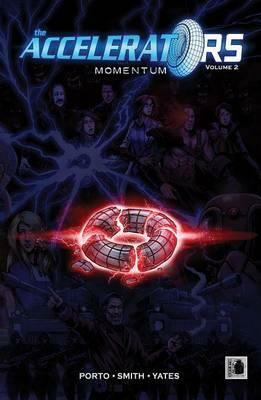 This second volume of the acclaimed ongoing story combines Issues 7-10 of THE ACCELERATORS.